On Monday, US Marshals arrested Schlitterbahn waterslide designer John Timothy Schooley for charges that include second-degree murder and reckless endangerment of a child. 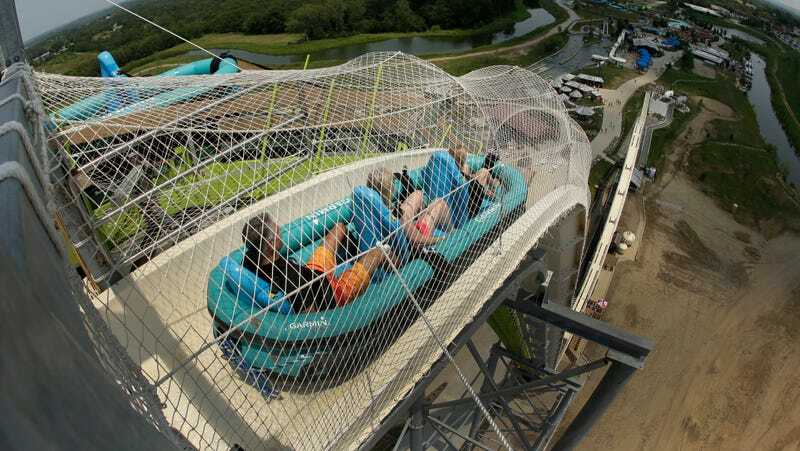 Schooley designed the Verrückt waterslide, the world’s tallest and fastest waterslide, which decapitated a 10-year-old boy in 2016. The agents apprehended Schooley at Dallas-Fort Worth International Airport as he was arriving on a flight from China. He was being held without bond in Dallas on Tuesday morning and will likely be extradited to Wyandotte County, Kansas, as the death occurred at the Schlitterbahn water park in Kansas City, Kansas. Schooley could face up to 41 years in prison if if he is convicted, according to the Associated Press. Schooley and others connected to the ride were indicted by a Kansas grand jury late last month. Schlitterbahn’s co-owner Jeff Henry and director of operations Tyler Miles were arrested last week. According to the Kansas City Star, the indictment says company management ignored safety standards and the warnings of engineers. It alleges that Schlitterbahn built the slide to woo Travel Channel’s Xtreme Waterparks and covered up injuries.